Add enchantment and poetry to your home this spring. Enter our Poetry Teatime Contest! (upload a zip file for multiple images). BONUS: Share your teatime on your social media site(s) with the hashtag #PoetryTeatimeContest. Include the link(s) on the form. Every share is an additional contest entry! Submit entries by April 27, 2016 (midnight EDT). Grand Prize winner (selected randomly) announced May 1, 2016. April 27, 2016 at midnight EDT. PLEASE NOTE: Submitting your Poetry Teatime gives Brave Writer the permission to publish your text and images on our blogs (Poetry Teatime, A Brave Writer's Life in Brief), social media sites, and in Brave Writer and Poetry Teatime materials. Brave Writer employees and staff may not enter. The deadline for the Poetry Teatime Big Bundle Contest was April 27, 2016 (midnight EDT), so we're no longer accepting submissions. The winner will be announced May 1st! 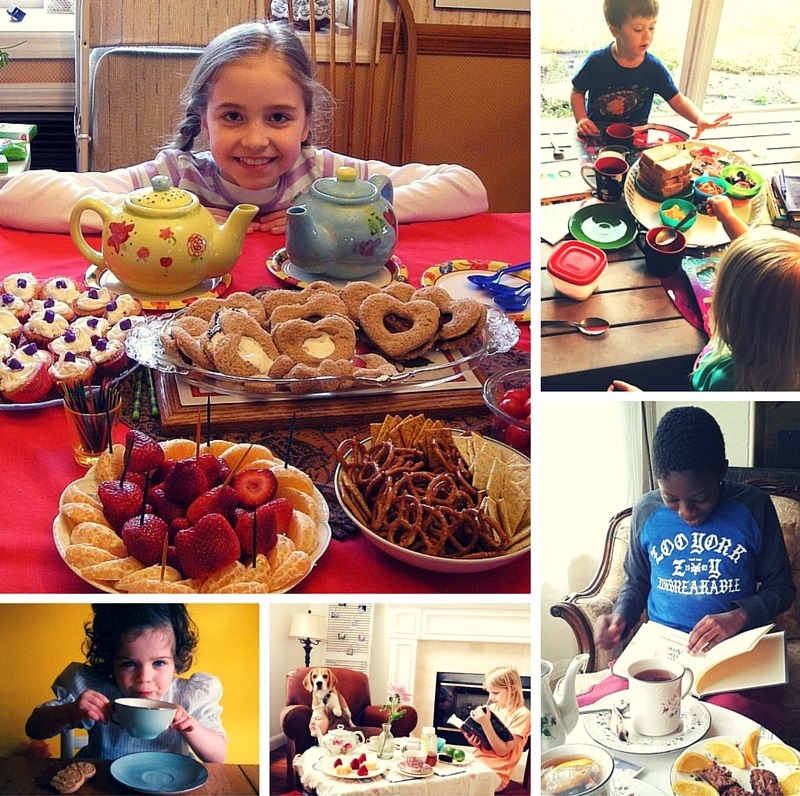 You can still share your Poetry Teatime, though, for possible publication on the blog! Those selected will receive a FREE Arrow or Boomerang title (literature-based language arts guide). Use this submission form.